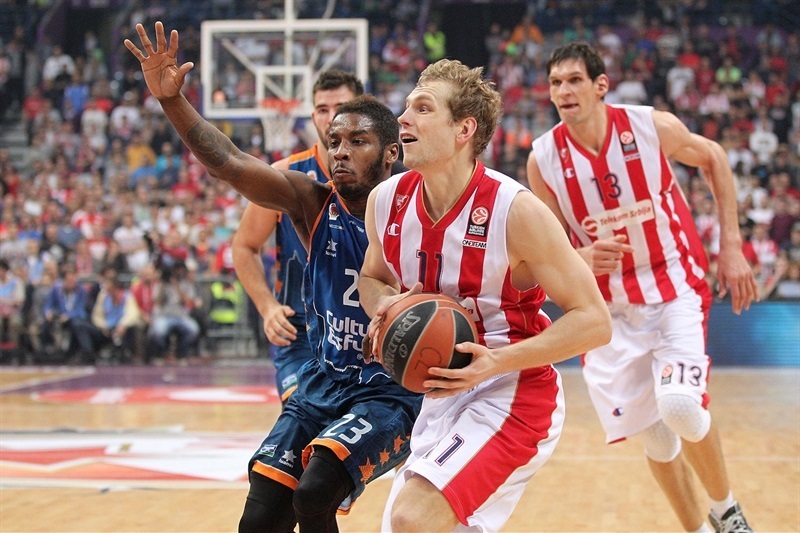 Crvena Zvezda Telekom Belgrade rode the undying support of its fans and three quarters of excellent defense to beat Valencia Basket 76-63 in Kombank Arena on Thursday. Behind 16 points plus 8 rebounds from Boban Marjanovic, and 14 points and 8 assists from Marcus Willams, Zvezda improved to 2-1 in Group D, while Valencia dropped to 0-3. Jaka Blazic strung together 6 points at the end of the first quarter, before Williams and Marjanovic fueled a 10-2 run to start the second for a 31-18 lead. 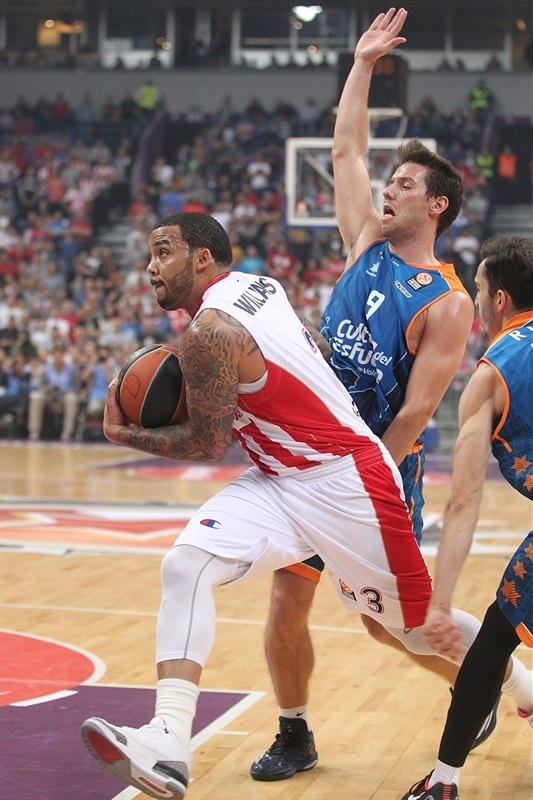 Zvezda kept the margin until halftime, 39-26, before coming out firing at the start of the third quarter. Nemanja Dangubic and Williams each hit one from downtown as the hosts opened a 51-30 lead, and the margin broke the 25-point barrier later in the third quarter, before the visitors cut the deficit in the final minutes of the game. 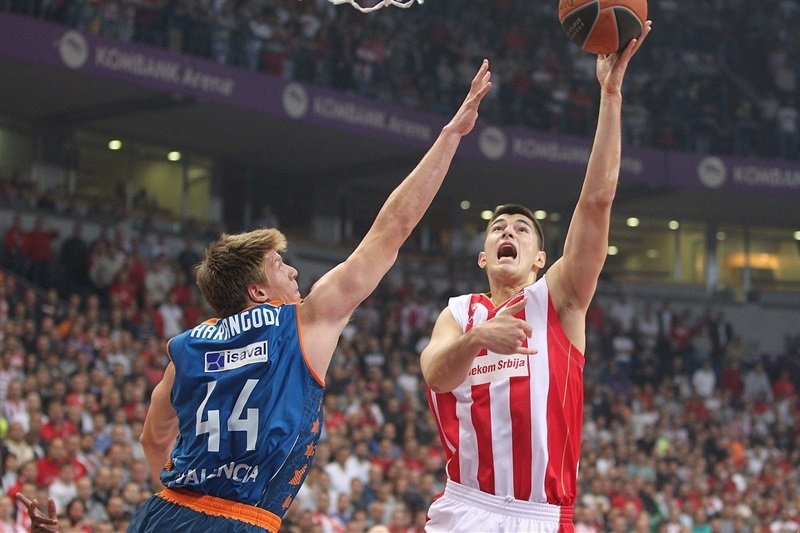 Also in double figures for Zvezda was Blazic with 13, Nikola Kalinic with 12 points, and Luka Mitrovic, who scored 10. 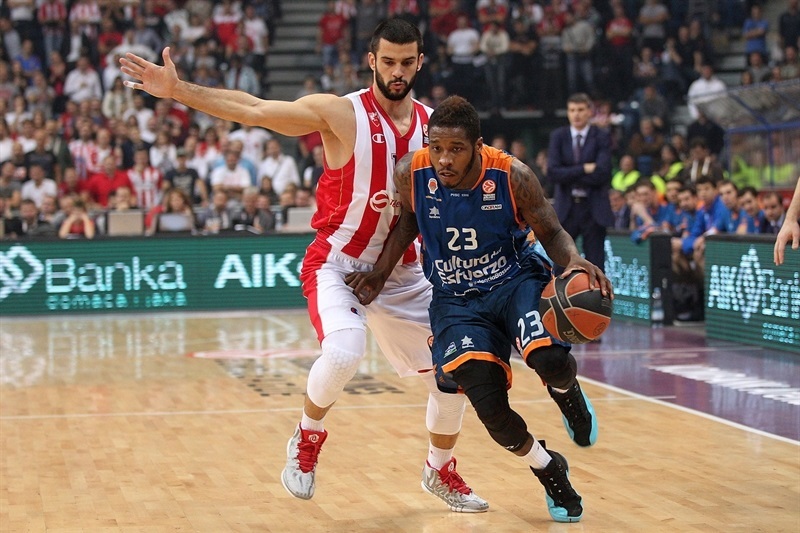 For the visitors, Dwight Buycks scored 14, Pau Ribas netted 13, Sam Van Rossom had 12, while Bojan Budbljevic in his first game of the season finished with 10 points. 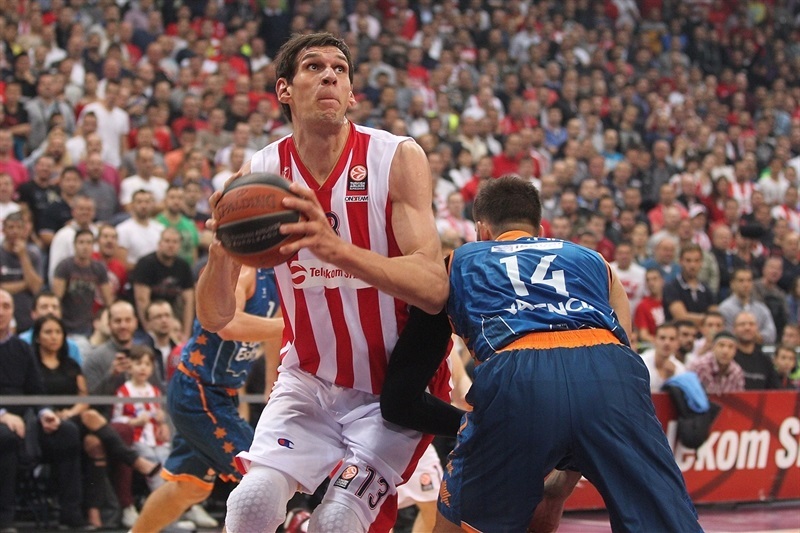 Zvezda opened the game with Williams feeding Marjanovic with a back-hand pass for a dunk. Sam Van Rossom and Williams traded jumpers, before a put-back dunk from Serhiy Lishchuk and a fastbreak layup from Romain Sato gave Valencia a 6-8 edge. 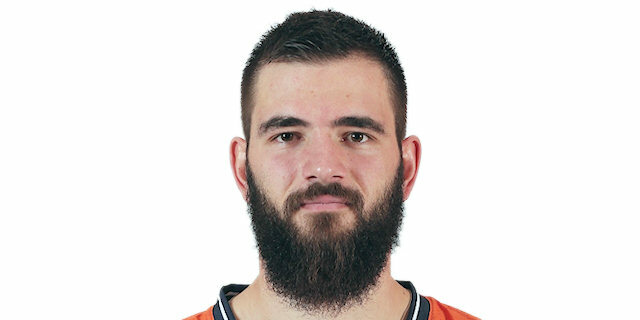 Luka Mitrovic tied the game with a nifty spin move, and after Williams buried the game's first three, Mitrovic scored a put-back layup that gave Zvezda a 13-8 lead. Bojan Dubljevic, coming off the bench and in his first action this season after returning from injury, snapped a 7-0 run with a pair of baskets from close range, but Blazic strung together 6 points, including a couple of driving layups, extending the lead to 21-12. Dubljevic knocked down a three-pointer for the visitors, making it 21-16 after 10 minutes. Maik Zirbes opened the quarter with an easy dunk, but Dubljevic answered with a basket from the low post. Both teams were doing a good job on the offensive glass, but only Zvezda had something to show for, as Nemanja Dangubic drove for a second-chance layup. The hosts held Valencia scoreless for more than four minutes, and Marjanovic made a dunk after a no-look pass from Williams, then added a basket from close range to the tally, giving Zvezda its first double-digit lead of the night, 29-18, midway through the second quarter. After a timeout, Williams sank a long jumper to make the margin 13 points, before Lishchuk buried a long jumper to end Valencia’s drought. A fastbreak dunk from Van Rossom cut it to 31-23, forcing the hosts to call a timeout. Van Rossom scored another driving layup, but Zvezda made separation with free throws from Marjanovic and Williams, who went 6 of 7 from the foul line, and Kalinic rounded out the first half with a put-back after a fast break, making it 39-26 at halftime. 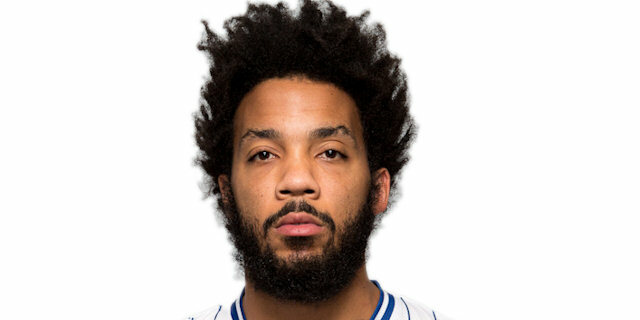 Dangubic opened the third quarter with a three-pointer, and after Dwight Buycks and Marjanovic traded baskets to make it 44-28, Williams nailed a triple and assisted Branko Lazic for an easy layup. A pair of free throws from Mitrovic extended the difference to 51-30. Pau Ribas snapped the run by getting a lucky roll on a baseline jumper, but on the other end Kalinic scored a reverse layup in traffic, helping the lead reach 55-32. 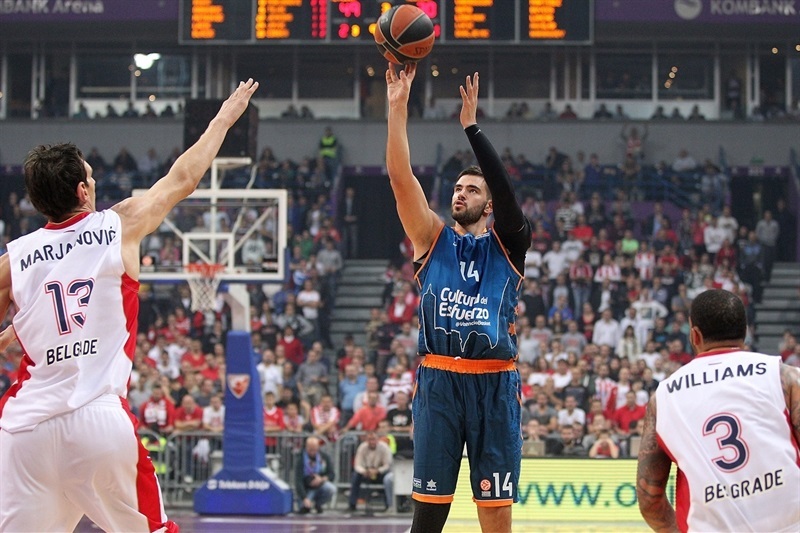 Valencia did not score for more than two minutes before Ribas made a basket-plus-foul on a fast break, but Williams dished a no-look bullet pass for a layup from Mitrovic. Ribas banked in a short jumper for the visitors, but Marjanovic had a dunk and Kalinic nailed a triple for a 62-37 lead. Buycks drove through the hosts’ defense, and after Blazic scored a driving layup-plus-foul, Van Rossom beat the buzzer at the end of the quarter to make it 65-42. Blazic raced for a fastbreak dunk. Van Rossom hit a short jumper, but Marjanovic scored inside to make it 69-44. Pablo Aguillar hit a triple to spark Valencia, before Buycks scored 6 in a row. Kalinic snapped a 0-9 run to make it 72-53 before Buycks nailed a long jumper. Charles Jenkins made a steal and raced for an easy dunk to keep the margin at 74-55, causing Coach Velimir Perasovic to call a timeout with under three minutes to go. Despite the game being out of reach, Valencia kept fighting, and reducing the deficit. Sato banked in a shot, Ribas nailed one from long range, and Buycks scored from close range to make it 74-62. 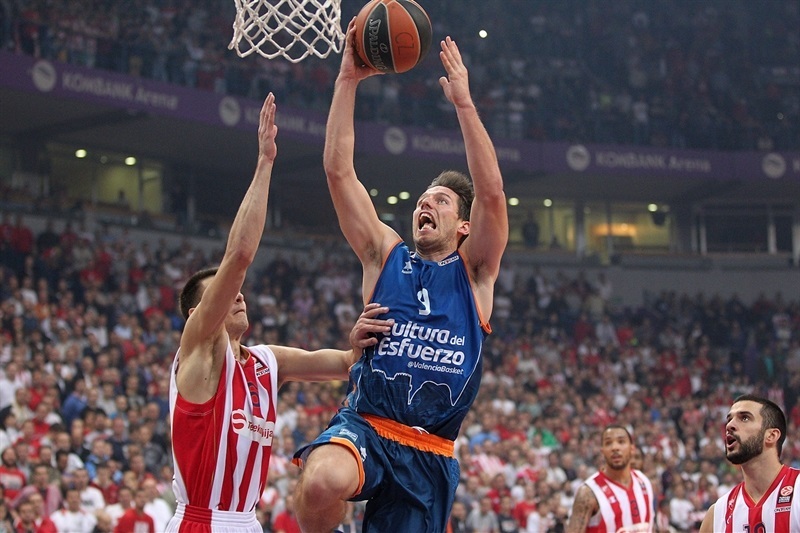 Kalinic hit a jumper entering the final minute, as the hosts closed it out. 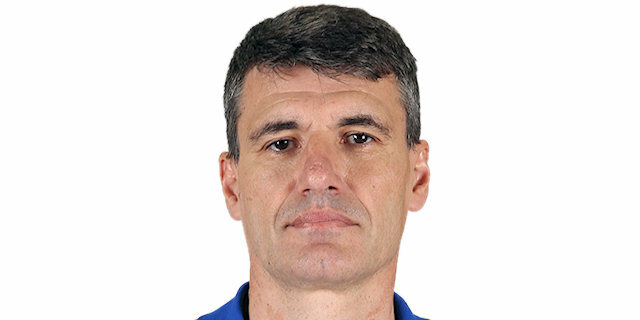 "We knew that Valencia is an excellent team that plays all 40 minutes. The have unusual players at center and are full of players that have so many points in their hands. We wanted to play good defense and to control the game all the way. And we played great, really great and in each moment we knew what we wanted to do. I am very satisfied." 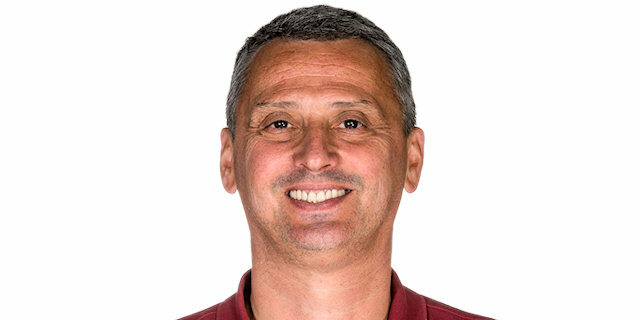 "Congratulations to Crvena Zvezda, which played hard. Our problem was on offense. We had many problems scoring and our shooting percentage was low. Even though we played pretty good defense in some periods of the game, we lost because our attack failed." "I think the key was us playing defense. We studied them all week, we tried to figure out the things they don’t do as well, and tried to force them to do those things. We got out and ran. We just got out to play hard, and came out with a victory." “It was a great atmosphere here in Kombank arena. We opened the game bad defending Marjanovic poorly. Later we managed to cut the deficit, but there was no time to do anything else. 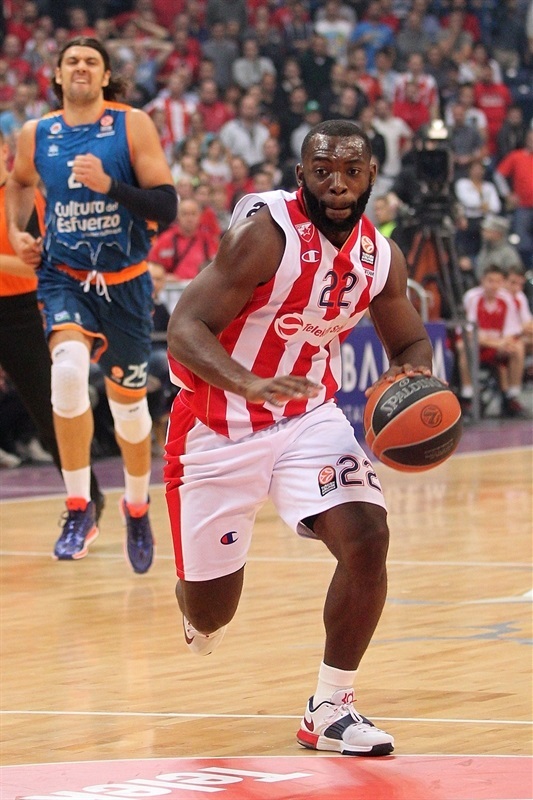 Congratulations to Crvena Zvezda; they deserved the win."